A meeting was held on August 31, 2018 in the Committee Room of Industries, Commerce & Investment Department for consideration of the pilot project “Establishment of Design Center” in Leather Footwear & Products cluster. The meeting comprised members from the association, academia, UNIDO local experts and the CDI team. 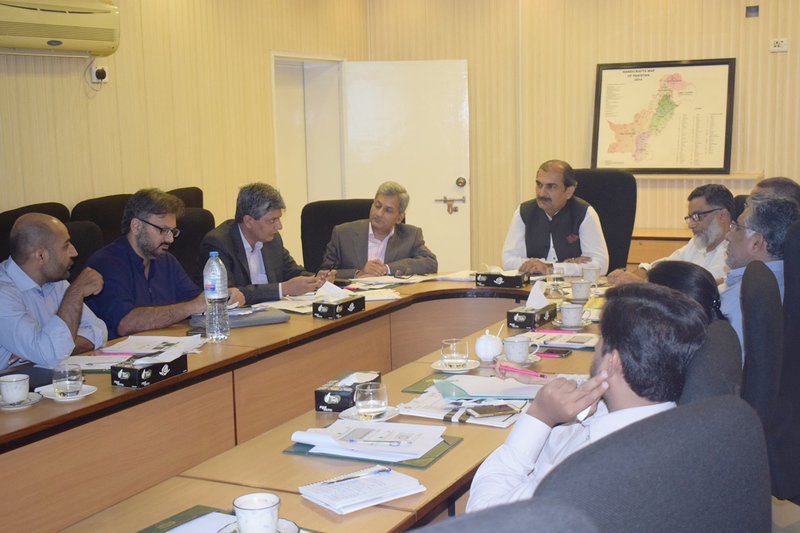 Mr. Javed Iqbal Bokhari, Secretary, Industries, Commerce & Investment Department, Government of the Punjab chaired the meeting. Mr. Furrukh Saleem Chairman PFMA, Mr. Usman Khan, Assistant Professor LUMS, Dr. Amjad Chaudhary, Associate Professor UET, Mr. Badar ul Islam, Programme Coordinator UNIDO and Mr. Fazal-ur-Rehman, Project Director CDI were the main participants of the meeting. After deliberations, the committee approved the project proposal / CRI on - Establishment of Design Center in Lahore prepared by UNIDO.